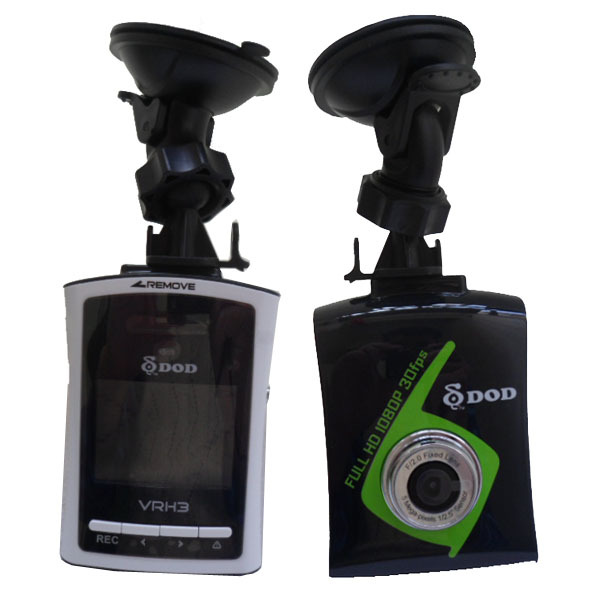 The VRH3 is an HD car DVR with optional GPS capabilities. It offers high speed 60fps recording in 720p HD, along side full 1080p HD at 30fps. The camera also delivers exceptional performance in low light, making it ideal for both day- and night-time recording. The integrated G-sensor makes sure that when your car experiences an impact or deployed emergency brake, the recorded footage recorded directly prior is kept. It also uses the .TS (transport stream) file format, which makes sure files do not corrupt if power is lost. The VRH3 also includes parking surveillance mode and motion detection settings. The displayed shipping price is for '1' DOD 1080P Mini HD GPS Dash Camera LCD & Parking Surveillance. To find the shipping cost for all your items, please view your cart.